Second Career Search: Cross Border Financial Planning $$??!! I recently talked and emailed with a couple of Canadian firms that specialize in cross border financial planning - Americans in Canada and Canadians in the USA. It was eye-opening. Seems lucrative. Most quoted $10K to $30K per year to handle investments and financial planning. One firm was adamant that they did not want to provide one-time advice for a fee, it had to be a multi-year large recurring fee engagement. Many anecdotes about the problems you are about to face. Many acronyms: CPICs, PCS, etc. It almost makes you want to stay put. Part of the marketing seems to be writing books that tell you about all the problems and then recommend "..get professional advice from a cross border financial planning specialist to handle the problem..."
Lots of "secret sauce" to fix the problems. Not much detail. 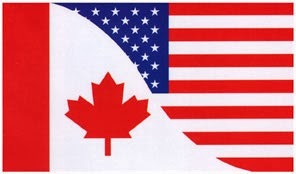 I will admit that being a Canadian in the USA does involve some problems and we have dealt with them for 15+ years. You report your Canadian investments to the US government, you fill out some unique tax forms every year, your Canadian bank limits you to GIC investments, etc. However, it never seemed like it was that big of a deal. Rather than spending time on Sudoku, Chess, or other mind-blowing games, I do my own US and Canadian taxes. Maybe my next career should be in cross border financial planning?